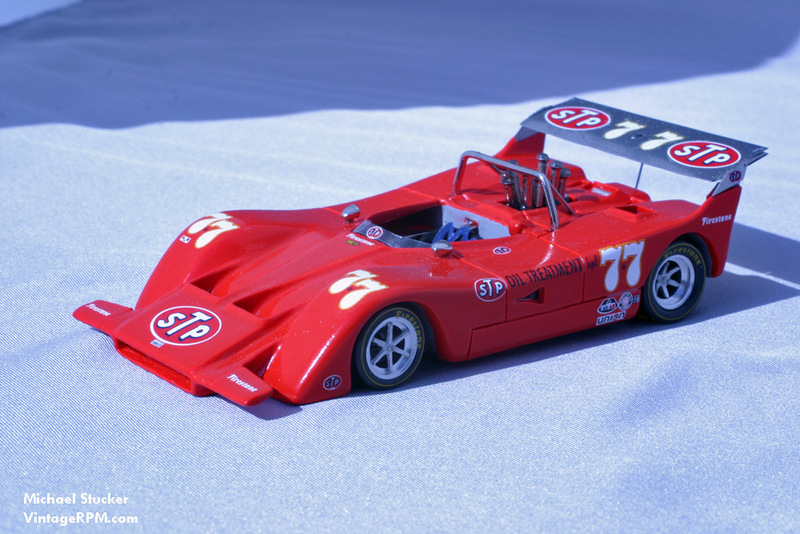 This March was driven by Chris Amon in the Can-Am during 1970. 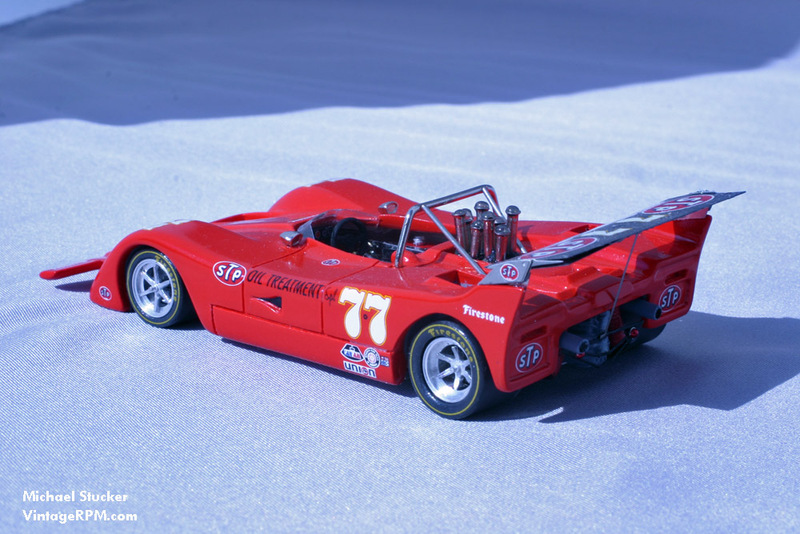 The nose of the car is very similar to that of the March 701 F1 racer. 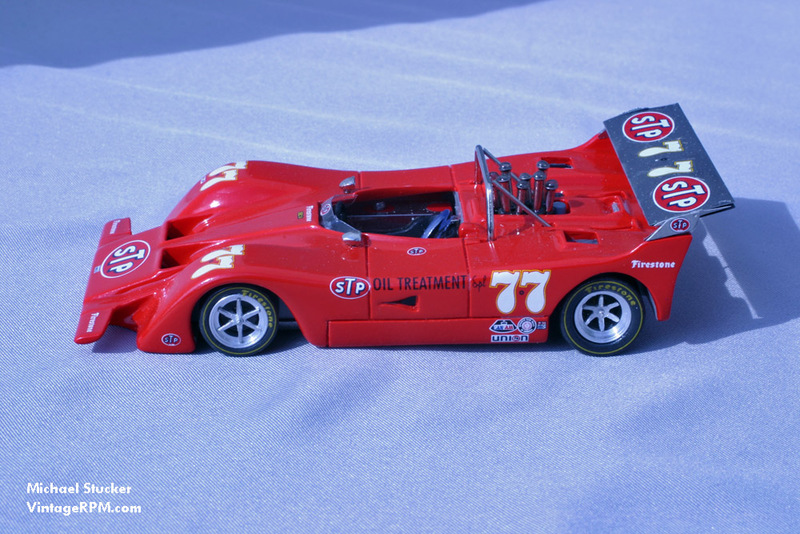 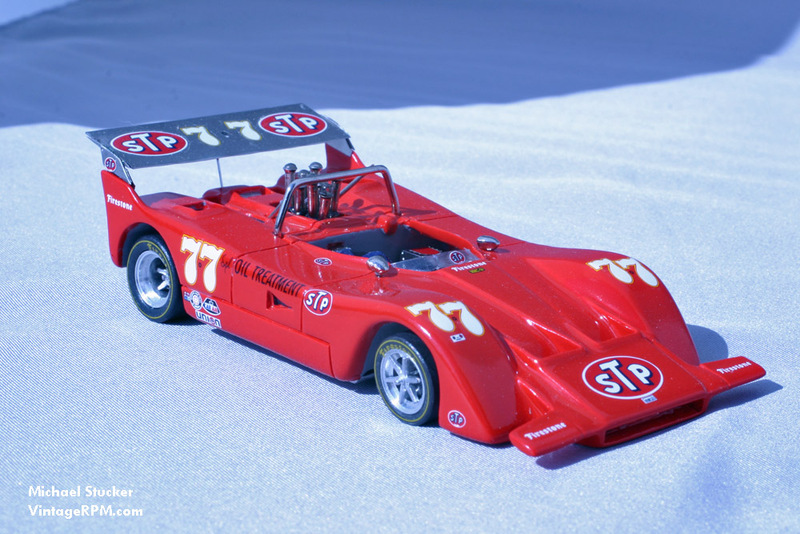 Unlike most STP sponsored cars, the factory Marches (in Can-Am or F1) were not painted day-glo red. 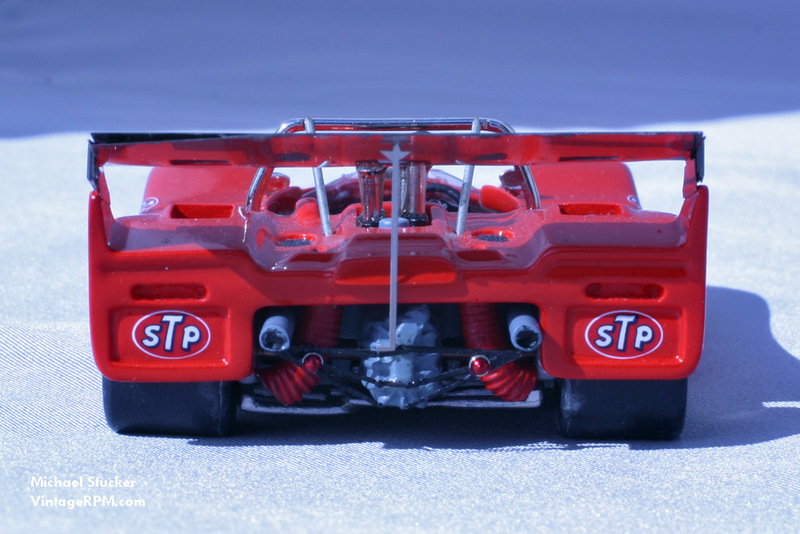 I used Tamiya Italian Red.